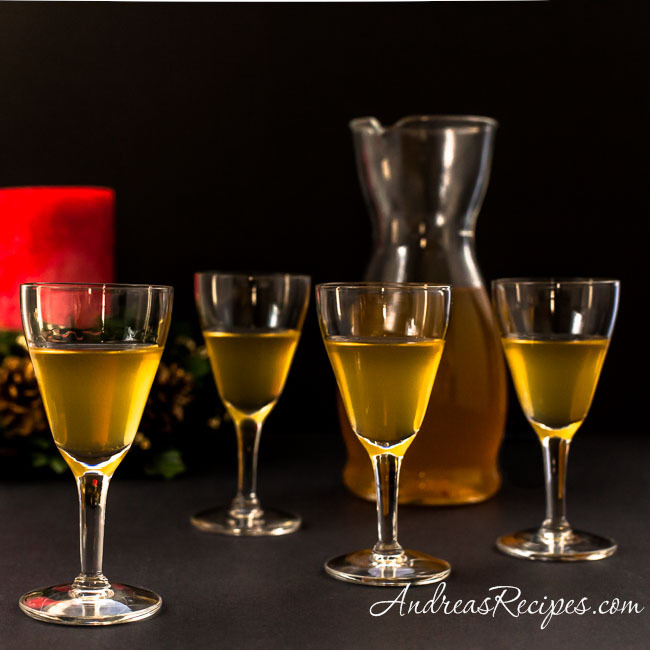 Polish krupnik staropolski is a traditional honey-spiced liqueur typically served during Wigilia, the Christmas Eve meal. 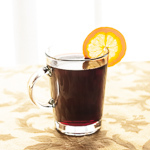 Small glasses are passed around with hot, peppery krupnik, which will warm you up quickly. Family recipes may be passed down through the generations and vary widely, with up to 50 different spices. To celebrate Michael’s half-Polish heritage, we’ve made a batch of Polish krupnik to share with his family at Christmas. Since this was our first time to make it, we went with a relatively simple recipe with a few common spices. Just warm the honey and spices, stir in hot water, then add the vodka and steep in a jar or pitcher. Adapted from Polish Holiday Cookery, by Robert Strybel. In the saucepan, combine the honey, vanilla bean, cloves, cinnamon stick, allspice, ginger, lemon rind, and peppercorns. Gradually bring to a gentle boil, stirring frequently, then simmer until the honey just begins to brown. Stir in the boiling water and bring back to a boil. Remove from the heat and cover, then let stand for 10 minutes. (Make sure the saucepan is away from the stove and any flames to prevent a fire.) Stir in the vodka until fully blended. Then you can return the saucepan to the heat for 1 to 2 minutes, just enough to warm. 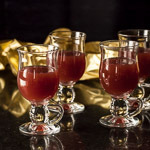 Serve warm in cordial or other small glasses. You can make it up to a week ahead and store in a covered jar in a cool, dark place. This recipe for Polish krupnik is a quick version which can be served the same day or allowed to rest for a few days before serving. We use 100-proof vodka, which works well and keeps the liqueur from being harsh. You can almost make a well-fermented batch using Polish vodka (spirytus), other high-proof vodka, or 190-proof grain alcohol such as Everclear. This version steeps in a cool dark place for up to a year, plenty of time for the flavors to fuse and the strong characteristics of the alcohol to mellow. That recipe looks so interesting! 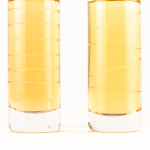 I’m Polish but I never had a homemade krupnik vodka. I must try that. Thanks for sharing! This looks yummy. What is the purpose of cooking the honey down and then adding water? Hi Patsy. The doesn’t really cook down, but it takes on a deep flavor and slightly darker color. The water helps to thin it so the final liqueur isn’t too sweet.